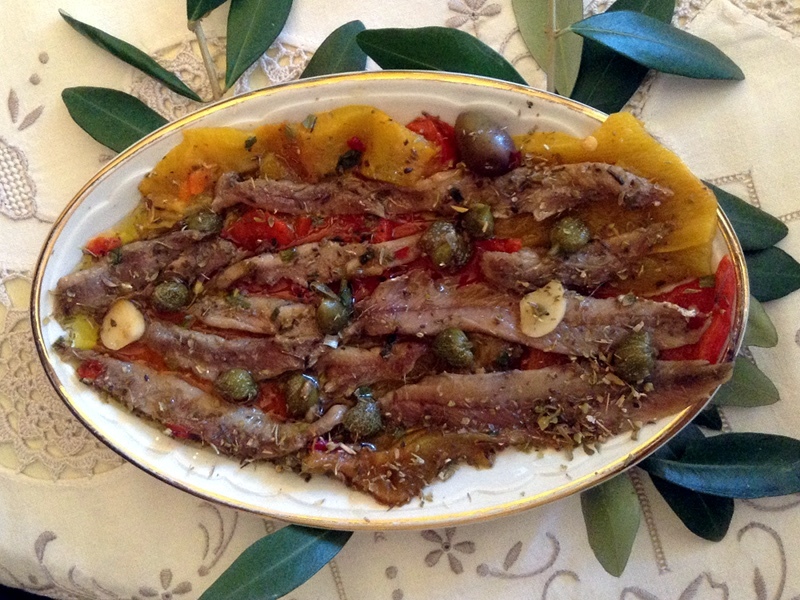 Traditional dish of the Cinque Terre; they are processed according to the ancient recipe of Monterosso al Mare. 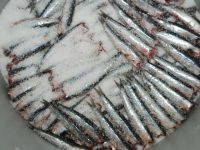 Known as "pan du ma", anchovies are fished with the lampara net traditional method and with a surrounding net, and they are processed by hand within two or three days. 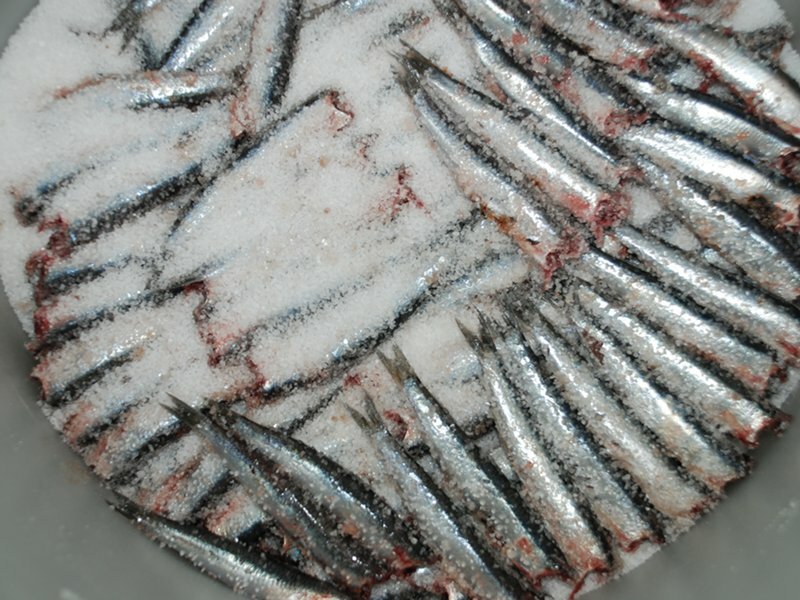 Thanks to the careful arrangement in strata, an adequate pressing, and a careful brine quantity and quality monitoring, anchovies are compact and tasty, and can be perfectly preserved. The product maintains all the aroma and taste of fresh fish. 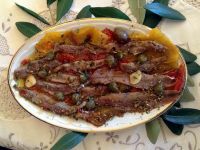 They are very good with oil, oregano, and garlic for an excellent appetizer, but they are also ideal as second course.